Today, I would like to introduce a wonderful recipe called Mexican Bean Salad. 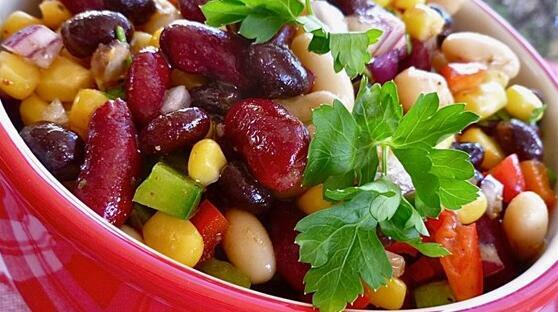 A colorful, spicy, and refreshing bean and corn salad. 2. In a small bowl, whisk together olive oil, red wine vinegar, lime juice, lemon juice, sugar, salt, garlic, cilantro, cumin, and black pepper. Season to taste with hot sauce and chili powder.